I am taking a landscape painting class @ Concept Design Academy with Jackson Sze. Coz I have been thinking about doing more painting practices w/ traditional media for a while and also painting on locations but I don’t feel that comfortable doing it… (I’m shy XD) So by taking this class… it’s a goof way to force myself doing it ~ ha. 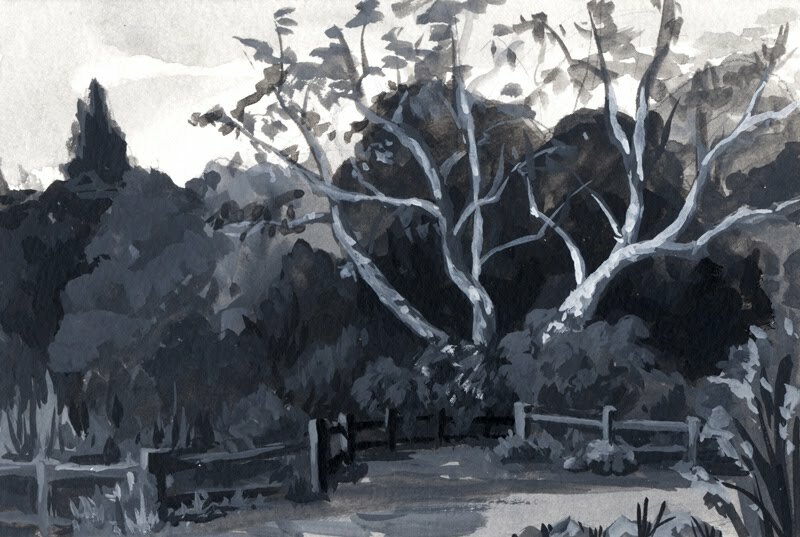 Here are two B&W gouache paintings for our first on location painting class. I spent longer time on the first one (1.5~2hrs) ~ I did it slow since it’s my first traditional medium painting for the past…. 3+ yrs? 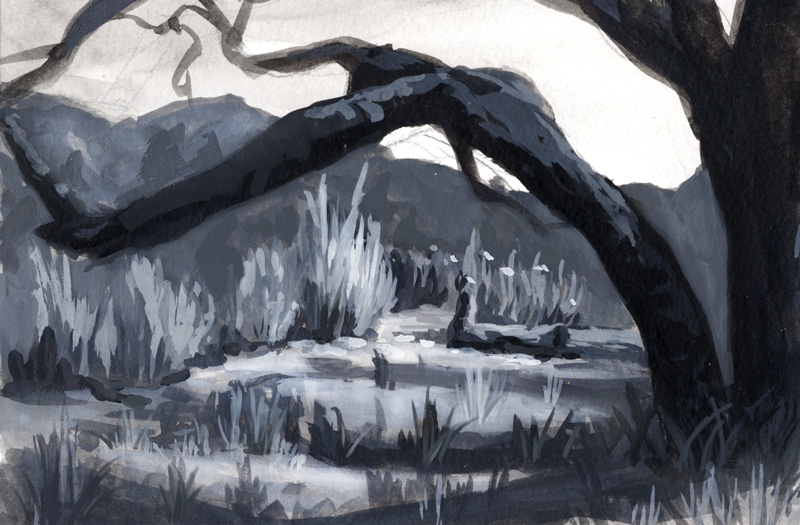 I guess I will force myself to do more on location paintings just for fun and for building the mileage (and also to train myself not to be shy if I paint alone XD).